Denmark is a relatively small country located in Northern Europe. It is also one of three countries that are considered to be Scandinavian. Denmark is known to be on the cutting edge for site blocking, and they were the first European country to block the popular torrent site, The Pirate Bay. If you are in Denmark, get ready for another wave of blocking courtesy of the anti-piracy group, Rettigheds Alliancen (Rights Alliance). That is, of course, unless you are using a VPN. Here are some of the best VPNs for Denmark. Clearly, Denmark has raised the bar again for blocking websites. Earlier in 2015, they blocked 12 major filesharing sites. That means all ISPs in Denmark are required to block them. There have been several moves in recent days, the seizure of popcorntime.dk, and the blocked list addition of 20 new websites are some of them. 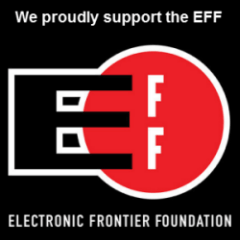 In an interview with TorrentFreak, Rights Alliance head Maria Fredenslund stated her organization “doesn’t merely take an enforcement approach. We want to understand user behavior (and) offer people legal alternatives,” Fredenslund says. Apparently, the organization believes that given a legal alternative, most people will elect the legal route. They claim they have evidence of that choice happening. So what is a VPN? A virtual private network (VPN) is software that creates a secure connection to a server, possibly in another country, depending on your purpose. Let’s have a look at some of the ideas behind using one. A good reason to use a VPN is to unblock access to geo-restricted content or sites. Geo-blocking is a technology that identifies a user’s location based on IP address. This technology creates a “wall” that will either keep blocked websites out or keep content in. By selecting a server in a different country, you could get around these restrictions. If you were traveling abroad and wanted to see content from Denmark, you would use a VPN. Another good reason to use a VPN is for privacy. It will encrypt your data and provide an extra layer of security. Though the Danish government does not seem to spy on it’s citizens, there are many other people that would be interested in your personal data. Whether you are a resident of Denmark, or a tourist, you would be wise to keep your data safe by using a VPN. The question is, with the different choices in protocols, which ones should you use? No matter which company you go with, they will have different protocols you may use. All of the selections we offer here use secure encryption, but using a version of the OpenVPN protocol would always provide you with the best security. If speed is of the essence, you would use OpenVPN (UDP). That is the best option for VoIP, Skype , online gaming, or even using streaming services like Netflix, Hulu, or Pandora. If you have connection issues or problems with the connection dropping, your best choice would be OpenVPN (TCP). The TCP version is not quite as fast, but the data goes through error checking. For streaming via a mobile network, there are also other good protocols including L2TP and IKEv2 for security. Now that we have gone over that, we will go over the companies that are good for specific reasons. If you want to unblock content or secure your data, we recommend ExpressVP. They don’t keep logs and have a kill switch feature, so it insures you are protected if the connection drops. For using streaming services like Netflix, ExpressVP again is the best choice. Because they offer a mobile client, and manage a very large network, you would only need to connect, and you would could enjoy streaming from countries with the best content libraries. Currently the US has the largest selection. For only accessing geo-restricted content, your best option is to go with ExpressVP or PIA. Both of these services offer internet traffic encryption, but ExpressVP also includes MediaStreamer SmartDNS with their VPN which may aid in unblocking channels without the slight speed loss. Of course, it depends if the SmartDNS unblocks the specific channel you wish to see. Denmark has wonderful internet speeds, so we would recommend using the encrypted option. We don’t recommend trading security for speed. Whereas speed is a problem if you are trying to stream in some cases, as long as you don’t see any quality difference, that extra layer of encryption is worth any speed you would possibly lose. For other great options, you may check out our top 10 VPN services. That said, we have chosen the best overall, so there should not be a need to. We used security, price, and speed as measures for our choices. In addition, we also picked the companies with large numbers of network servers you may wish to connect to for the best viewing. What you want to look for in a reliable VPN provider is one that will secure your privacy and have fast networks for streaming high definition content from other countries.